Asma B, Abdellatif B, Mohamed H, mokhtar H, Hamza R, Salaheddine B.
Femoral fracture occupy is important place in canine veterinary orthopedic, this work which interesting for technical aspects of implants, bone healing and the functional quality obtained. The eight male dogs, subjected to a transverse osteotomy at the left femoral diaphysis and divided into two groups, the first is fixed by intramedullary pinning and the second by ordinary bone plate. We observed that the intramedullary pinning is the a most secure method, with fewer complications, and consolidation type second intention, while the fixation by bone plating is less secured, with a lot complications, and consolidation with periosteal callus formation. Of the end of our study we conclude that the intramedullary pinning is a method of choice for treat diaphyseal transversal fracture by providing an economic method, easy to apply and good stability compared with ordinary plate fixation. Keywords: Femur, Intramedullary Pinning, Bone Plating, Dogs. Ahmed Fadel Elseed AM, Danil T, Abu ElgaimAtta Elmanan B and Hassan Ali O.
Twelve rabbits were used to examine the effect of dietary saponin of fenugreek (Trigonella foenum-graecum) seeds on voluntary feed intake, digestibility, N-retention and some blood metabolites. Animals were randomly assigned to three different treatments (0, 0.5 and 1 gram of saponins extract per day) with four animals per treatment. Before feeding, the different levels of fenugreek saponins extract were fed at 9:00 am, mixed with small quantities of carrot and bananas daily for a period of six weeks. 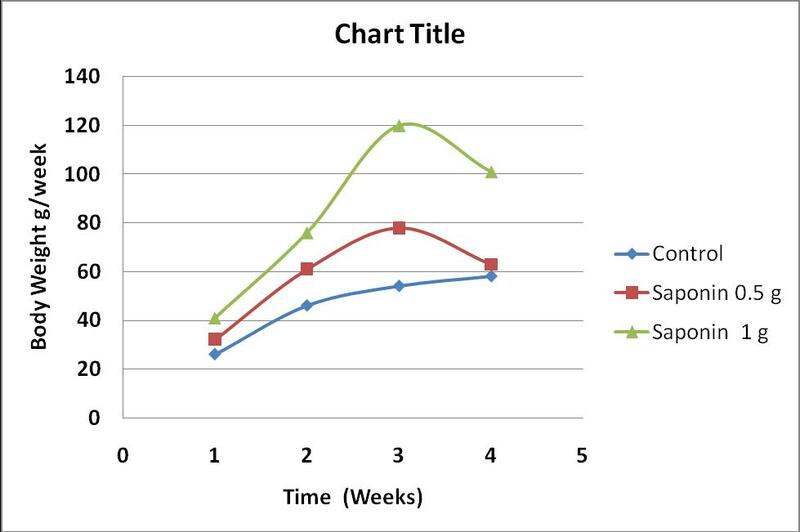 Voluntary feed intake, dry matter digestibility, and live body weight gain significantly (P<0.05) increased in rabbits fed 0.5 and 1 gram fenugreek saponins extract. The N-retention improved in rabbits consumed 0.5 and 1 gram fenugreek saponins extract compared with the control. In contrast, cholesterol and triglyceride showed a significant reduction in rabbits (p< 0.05) consumed the fenugreek saponions extract (0.5 and 1 gram) compared to the control. Hemoglobin concentration and red blood cell count significantly (p< 0.05) increased in rabbits fed fenugreek saponins extract compared to the control. Inclusion of fenugreek saponins extract to the diet concluded positive effects on production, hematological parameters and blood Metabolites of rabbits. Saad TT, El-Meadawy ZKh, ALI M.A. and, Fayza AIE. 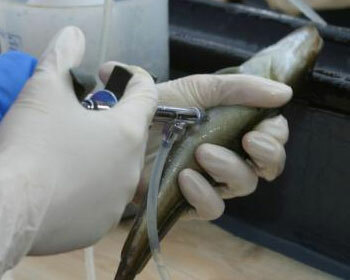 The present study was designed to investigate the influence of dietary supplementation of Copper (I) nicotinate complex at different concentrations (30 and 60 mg/kg feed) for 4 weeks on the immune response and some biochemical parameters of Sea bass fish vaccinated with Yersinia ruckeri bacterin. The relative level of protection against challenge with virulent strain of Yersinia ruckeri was also determined. The present findings indicated that, the using highest concentration of Copper (I) nicotinate (60mg/kg feed) was preferable for stimulation of hemopiosis which reflected on the significant increase of some tested hematological parameters. Both concentrations Copper (1) nicotinate complex had no adverse effect on liver cells which reflected on the unchanged activity of liver enzymes and increase the serum total protein, albumin and globulin. The increased lymphocytes percentage and serum globulin along the course of experiment was elevated phagocytic index and activity gave a strong evidence of the immunostimulant effect of copper (1) nicotinate complex in the levels of cell mediated and humeral immunity. This immunostimulant effects were dose dependant and confirmed by the increase in both antibody titer and relative level of protection against the injected virulent strain of Yersinia ruckeri. Key Words: Copper (I) nicotinate complex; Immune response; Biochemical parameters; Sea bass fish.